/Get Started with hutbay /How do I search for a property? 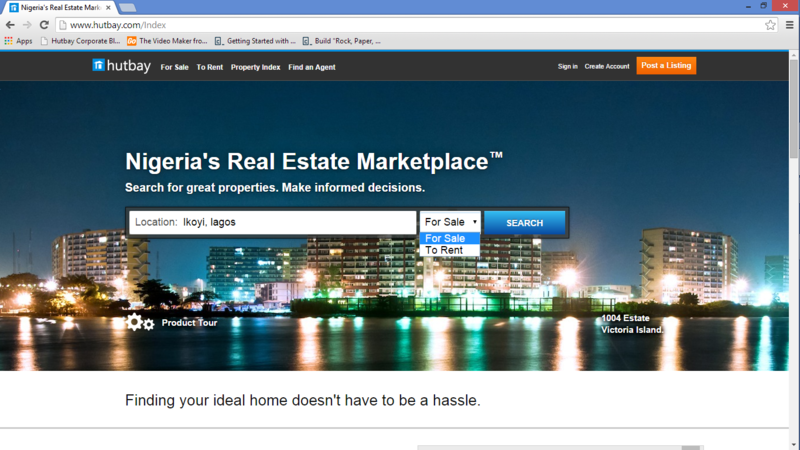 Specific searches are possible on hutbay, Let’s say you want to look for a property at a specific location let’s assume Ikoyi, Lagos. Type your desired location in the search bar, choose the purpose to which the property is intended for and click the search button. 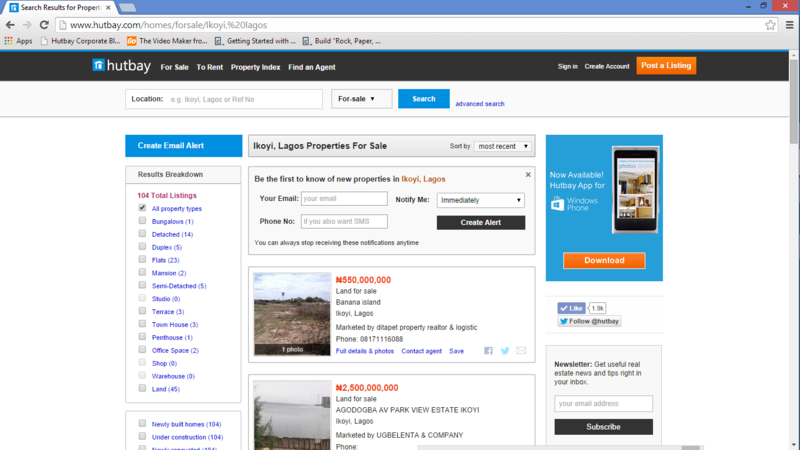 This will take you to the page which a comprehensive list of the properties in that category. If you do not find the kind of property you are searching for, you can register for an alert so that when a property in that category shows up, you can easily get a notification to that effect. For more specific searches like the kind of property in the area, on the left hand side of the page, you can streamline the search by choosing from the range of property types.